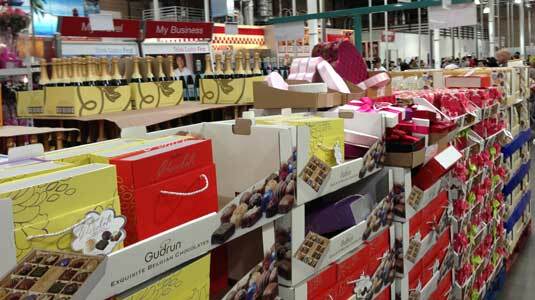 There is quite a selection of Valentine’s Day products available for purchase at Costco. 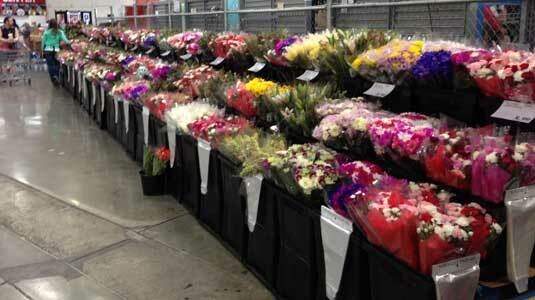 The first thing that always comes to my mind is roses, and Costco does not disappoint. 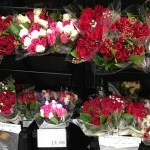 They have some of the best and cheapest ones available, at $15.99 for a dozen roses of varying colors. 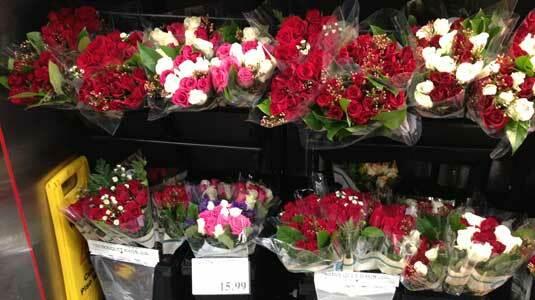 2017 update: A dozen roses is still $15.99 on Valentine’s Day at Costco. 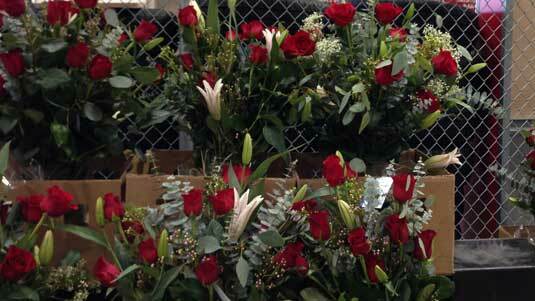 If you want a vase, they have a nice premium arrangement of roses and other decorations for $49.99. 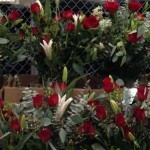 You can also pickup various other flower arrangements, which might include carnations, tulips, daisies, and more, and mostly run for $8.99. The day before Valentine’s Day there were hundreds of flower packages available, and I think Costco will have enough flowers through most of the big day. I would definitely get there before 5 pm to make sure you get some and that they’re not the worst leftovers. One nice thing about getting flowers at Costco is that you don’t have to worry about a super long line of people getting flowers, and you know you’re getting just about the best price. 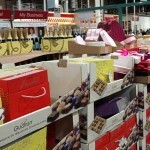 Flowers aren’t the only thing to pickup at Costco for Valentine’s Day, as they had quite the selection of chocolates today. For $12.99 you could get a box of Exquisite Belgian Chocolates by Godfun. 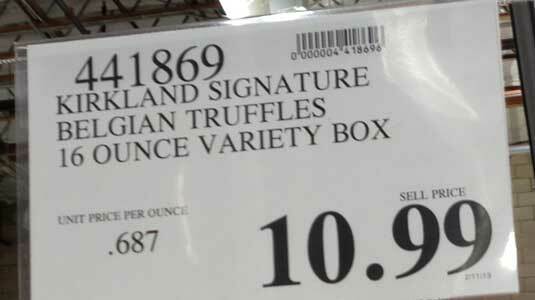 Even better, for only $10.99 you could get Kirkland Signature Belgian Truffles in a 16 once variety box. Costco also had a huge 3 lb. heart shaped box that looked pretty delectable, as well as a couple other options. 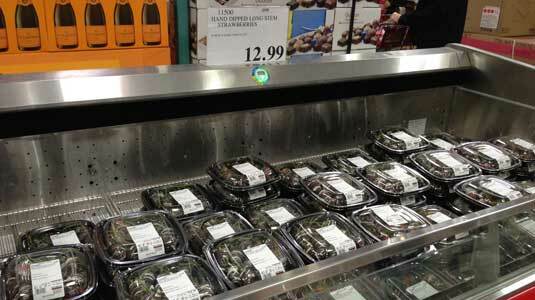 The bakery specially made a box of a dozen hand dipped long stem strawberries, available for $12.99. An option I think a lot of people forget are the gift cards at Costco. There are a lot of nearby restaurant discounts, as well as a gift card for See’s Candy, which could be very useful this time of year. Lastly, you could also pickup a nice bottle of wine or champagne at Costco and enjoy your evening with your significant other. You can find lots of great reviews on bottles at the Costco Wine Blog.